LCD screen with a diagonal of 21.6"
LCD monitor with a diagonal of 19.5"
LCD screen with a diagonal of 20"
LCD monitor with a diagonal 27"
LCD monitor with a diagonal 24"
LCD monitor with a diagonal of 21.5"
All product specifications in this catalog are based on information taken from official sources, including the official manufacturer’s DELL websites, which we consider as reliable. 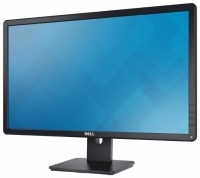 We strongly recommend using the published information as a basic product DELL E2314H review. Please refine the important parameters by the selling assistant when making a purchase.